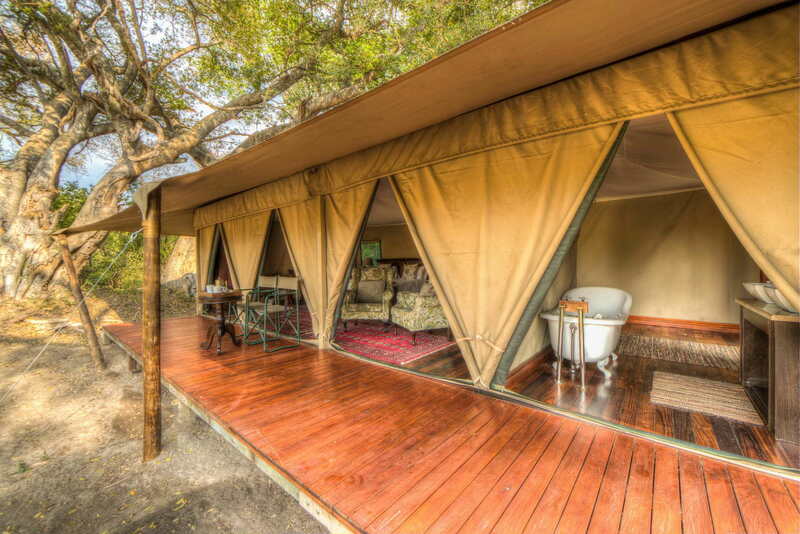 The Camps accommodation consists of 9 luxury tents and x4 standard tents. 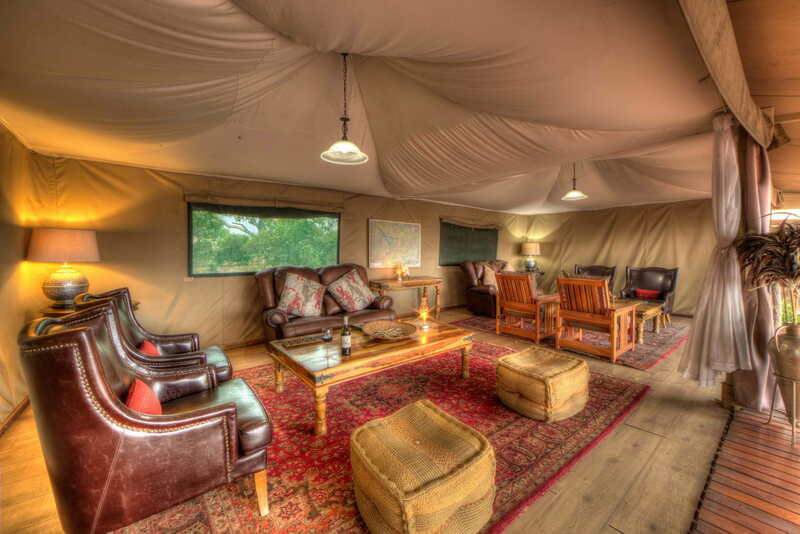 The tents are spacious and furnished in a classic style ensuring that time between activities is spent relaxing comfortably. 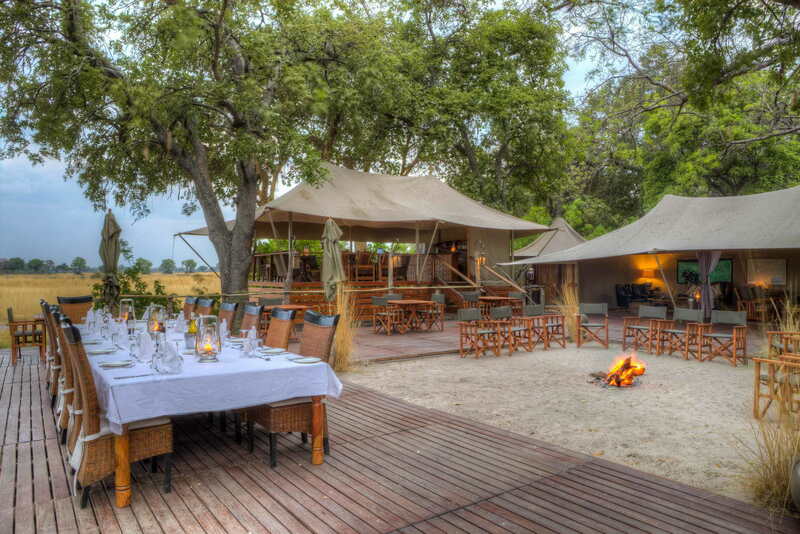 Kadizora is the only camp in the Okavango Delta to offer hot air ballooning. You have the option, of booking an early morning hot air balloon flight to soar over the Delta at sunrise and view game from above. 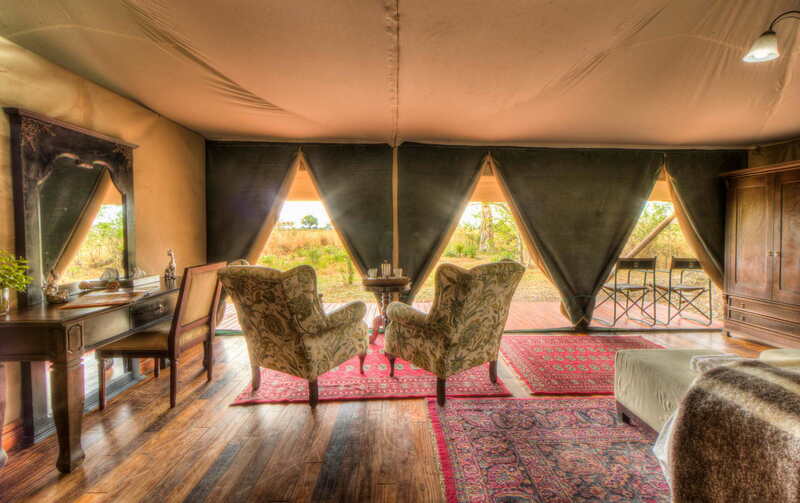 Kadizora Camp also facilitates open vehicle safaris, walking safaris and boating. Mokoro (dug-out canoe) excursions provide a fabulous and traditional way to explore the meandering water channels. Float quietly amongst the water-lilies and experience a spectacular bird lovers’ paradise. 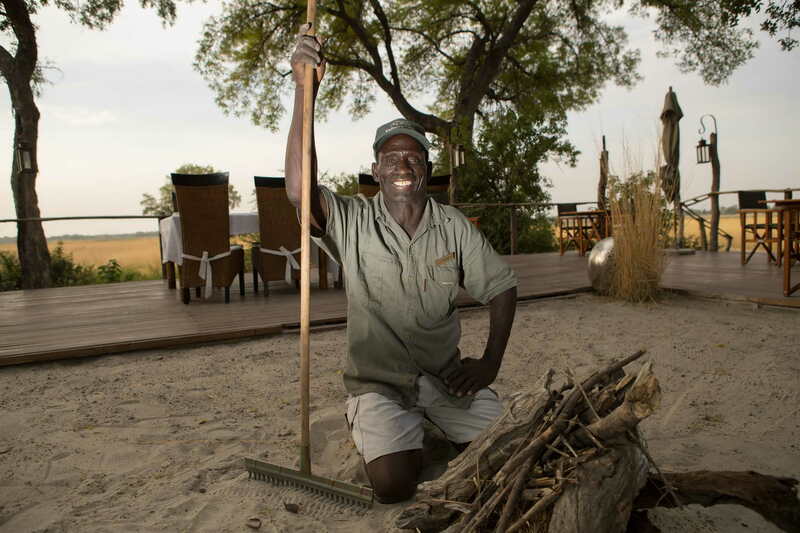 Kadizora Camp truly offers the ultimate Okavango Delta experience, with a wide range of activities, a beautiful location, diverse wildlife and warm, local hospitality . 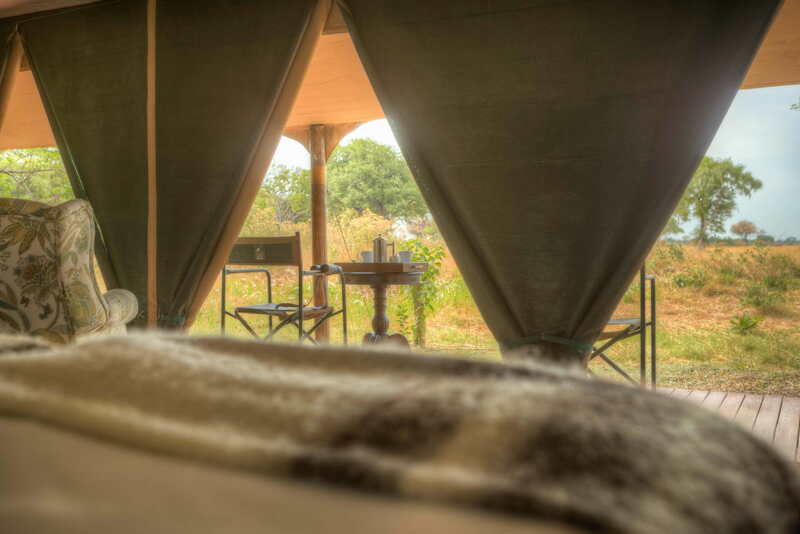 The Camps accommodation consists of 9 luxury tents and x4 standard tents’ with either twin or a conversion to a double bed. Each tent is well-positioned for ultimate privacy and seclusion. 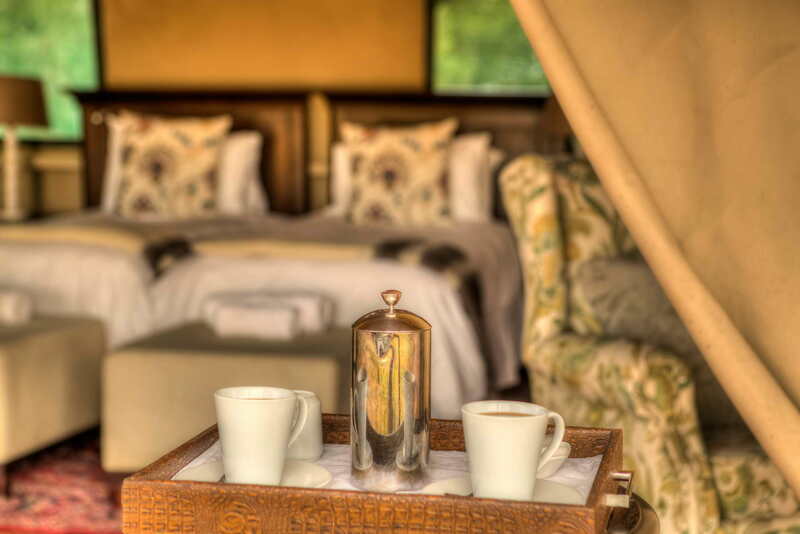 All tents feature a luxurious en-suite bathroom and outdoor decking, with spectacular views for a true ‘out of Africa’ experience. Single supplement – 30% of the per person rate in high season only, no surcharge for low season. Children under the age of 12 years – 50% of the per person sharing rate when sharing with two adults. Accommodation, all meals, select local drinks, soft drinks and waters, bed levies, park entrance fees, transfers to and from Kasane Airport for guests arriving or departing with scheduled flights only and two daily safari activities (morning boat cruise and afternoon game drive). 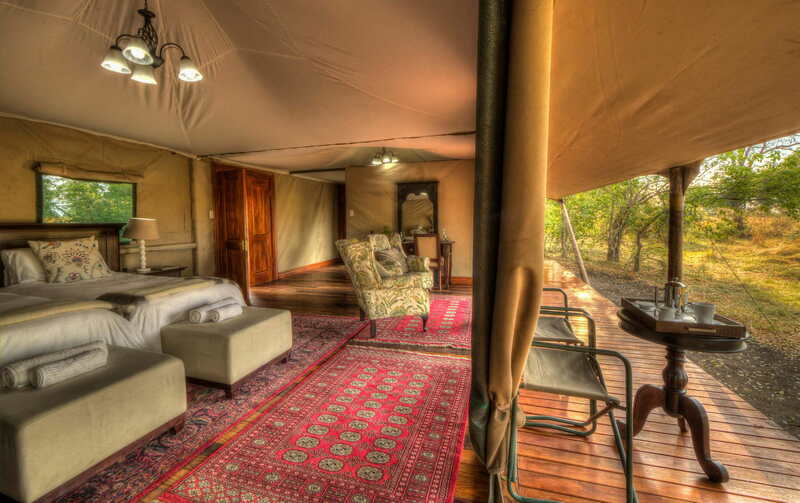 CHILDREN; Children under the age of 12 are permitted on safari at the sole discretion of the manager or guide. Children under the age of 6 are not permitted on safari. 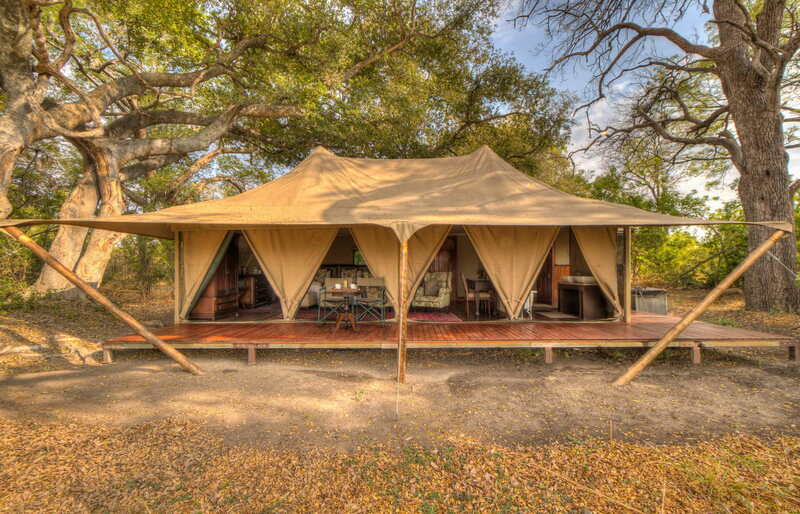 Meru-style tents form the common area and open onto a central deck and fire pit. 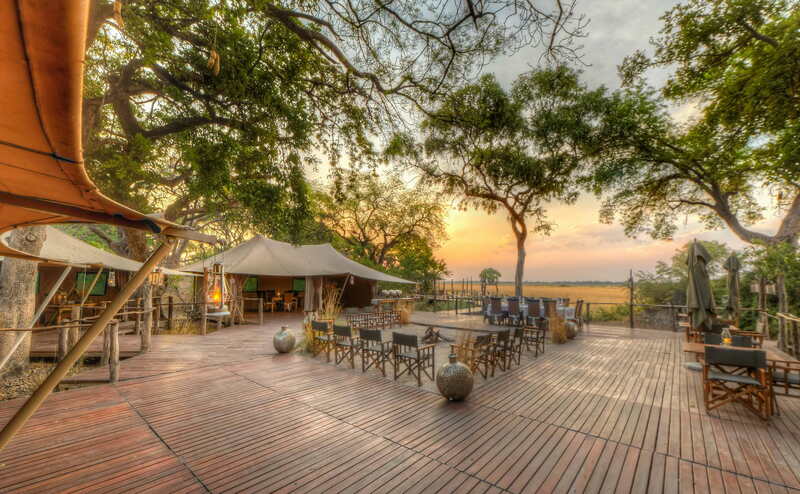 The bar at Kadizora Camp is on a raised deck with a panoramic view of the floodplain. Enjoy a picturesque Delta sunset, with your favourite sundowner, watching the colours intensify long after the sun has set. The inviting camp fire is the focal point from dawn to dusk, and it is the perfect place to chat about the day’s adventures. Tea / coffee facilities are available in the dining tent. The food at Kadizora Camp is of a high standard and fresh ingredients are used as far as possible to create a delicious and varied menu. 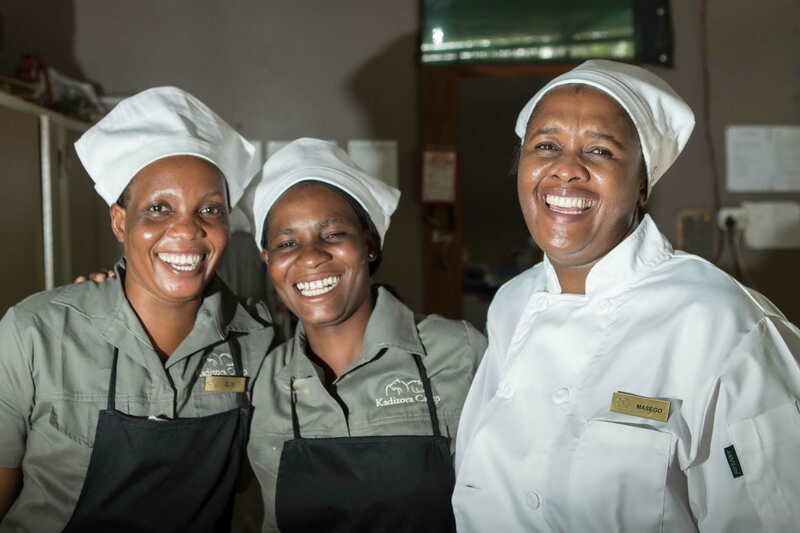 You will never go hungry at our Camp as there is an abundance of food at each meal, not to mention high tea which is served every afternoon. Meal times are based around the activities and are either served outdoors on the decking area or in the warmth of the dining room. Dinner is a sociable affair, main courses are buffet-style, with plated starters and desserts. After dinner enjoy a drink around the campfire listening to the cacophony of night sounds. 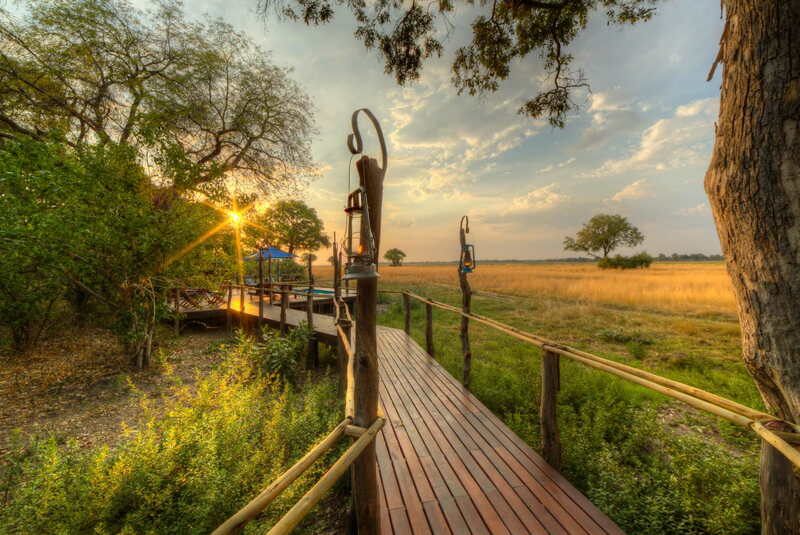 This is the only area in the Okavango Delta to offer hot air ballooning. Your Hot Air Balloon Safari begins with an early morning departure from Kadizora Camp, driving through the floodplains to the balloon launch site. On this pre-dawn safari, you may be fortunate enough to see sightings of nocturnal wildlife. On arrival at the launch site, you will be served tea or coffee, while the balloon is being rigged and inflated ready for your flight. Hot air ballooning is available on request during the peak season for April – September. Game Drives in an open safari vehicle allows you to explore some of the varied vegetation this World Heritage site has to offer. 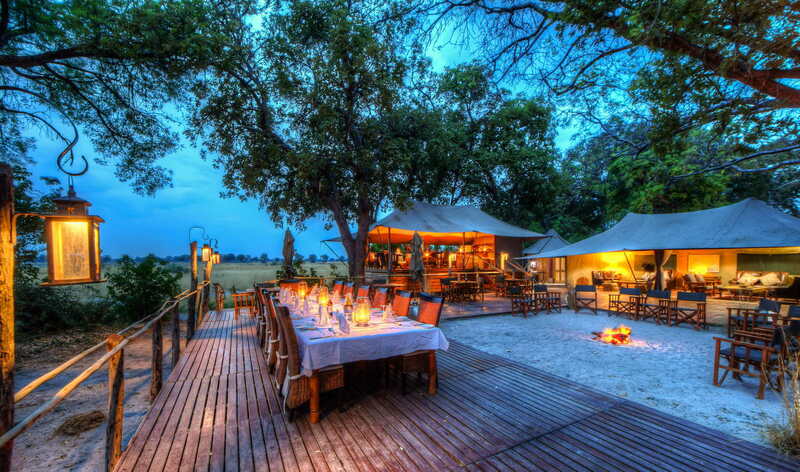 Drive through semi-desert sands, dense Mopani woodlands and marshy floodplains. The area is home to a vast species of game including elephant, buffalo, lion, leopard, cheetah, wild dogs, hyena, giraffe, zebra, wildebeest, kudu, red letchwe, impala, honey badgers, hippos and crocodile, to name a few.